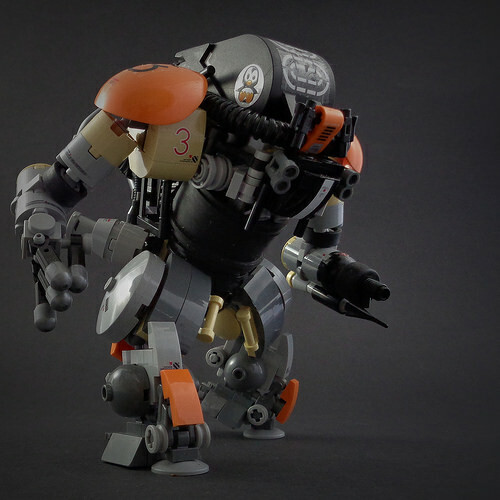 The Maschinen Krieger (Ma.K) themed Ma.Ktoberfest continues with this great entry from Marco Marozzi. 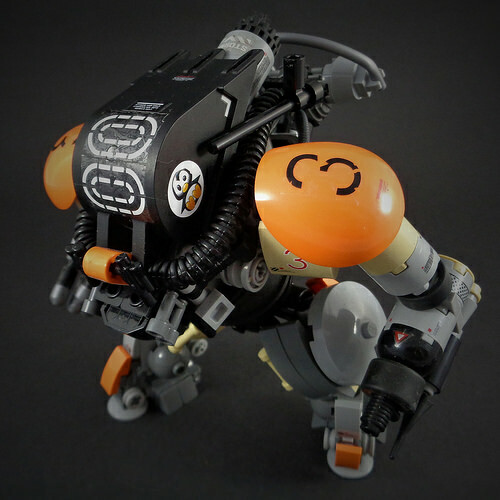 The orange and tan give this mecha an industrial flair, but I wouldn’t want to be caught by its left hook. The backhoe piece as the mech’s head is a particularly ingenious parts usage, complemented by excellent sticker application throughout.